When asphalt has not been properly maintained or has just exceeded its life expectancy the old asphalt may need to be removed and replaced. 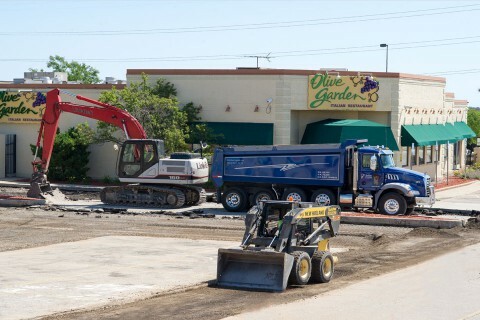 This process usually involves complete removal of the old asphalt surface. Followed by an inspection of the existing base, additional steps may be needed to prepare the base. Conditions which may not be discovered until the old asphalt is removed are mud, shallow utilities, excessive moisture or subgrade instability. Our inspection will determine the most effective method to correct these conditions. Once things have been corrected the stone base is installed, graded and compacted. 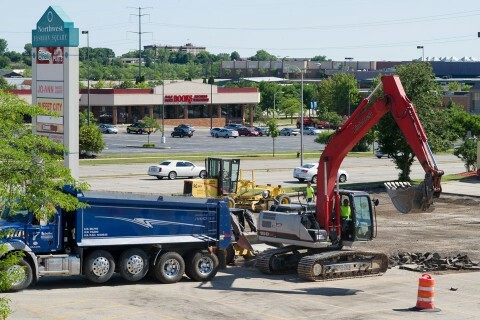 The new asphalt can then be installed and compacted with the correct rollers to finish the process.